dnp North America in Anaheim, CA.Optical rear- and front-projection technology provider dnp denmark has changed its distribution model in North and South America to market to new and existing channel and OEM partners. Located in Anaheim, California, Applied Screen Technologies (AST) is now doing business as dnp north america. This change in distribution strategy will maximize exposure toward the commercial market with dnp branded channel products and its North American OEM partners and AV integrators. 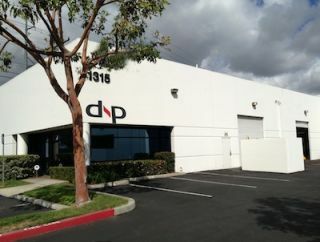 The dnp HQ in Denmark will be lending its full support to U.S.-based dnp North America to provide a more concentric operation with sales, training, accounting, service, and distribution center (DC) all residing at the Anaheim facility. “dnp North America provides an opportunity to improve customer service with in-house order processing, technical support, quick response time, and hands-on product demonstrations,” said Jesse Walsh, North America sales and marketing manager. “North America is a very important market for dnp’s line of optical projection screens, and we are pleased to announce that Jesse Walsh has agreed to reprise his role at the new company. Jesse will work with newly added personnel, Ginger Dodier-Williams, to make the transition as smooth as possible,” said Randy Pagnan, AST owner.